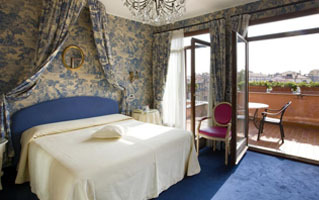 Featuring a terrace with lovely views of the Grand Canal, Hotel Principe is 650 feet from Santa Lucia Train Station. It features antique furniture and typically Venetian décor. Guests can enjoy a drink at the bar while admiring the views. 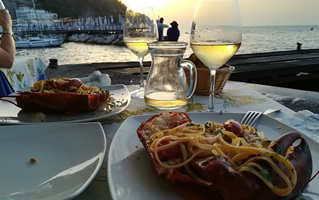 The restaurant serves Venetian specialties and international cuisine, including fresh fish dishes. The Principe Hotel features a private water entrance, perfect for arriving by gondola or water taxi. St. Mark's Square is 1.2 mi away and can be quickly reached with the Vaporetto water bus. Discover hidden architectural treasures in the ancient Roman city of Pompeii the most visited archaeological site in Italy and the legendary Mount Vesuvius volcano which dominates the Bay of Naples. Pompeii is a unique opportunity to see, as if by magic, the wonders of an ancient Roman town of 2000 years ago, declared a world heritage site by UNESCO in 1997. You can tour through the splendors of this city: its streets, houses, temples, shops, and theatres. Mount Vesuvius, probably the most famous volcano in Europe, 1,281 meters above sea level. 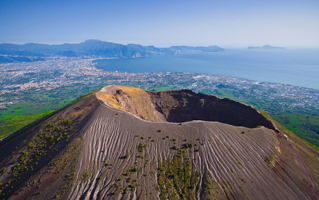 Drive up the mountain through the National Park of Vesuvius and walk a ways until you reach the mouth of the crater. Located at the end of the pier, this casual, family-owned restaurant provides an excellent spot for fresh seafood and sunset viewing. 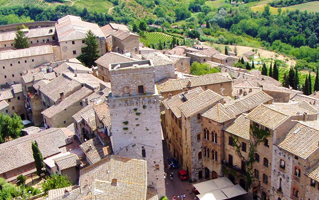 La Cantina del Brunello is situated in the street that goes to Piazza del Campo, the biggest central square of Siena famous for horse racing. There are a lot of verticals available, the same kind of wine, produced in different years. A real fun for those who want to try different years of production having the idea of how the wine changes through the years. 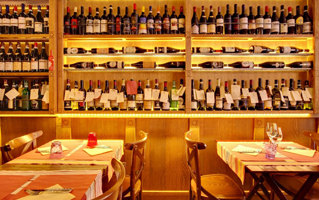 Masseto, Sassicaia, Ornellaia and other top wines are available in the shop. The Mortelle estate is in the heart of Maremma in Tuscany, near the town of Castiglione della Pescaia set in an extraordinary and fascinating position both for the territory's unparalleled natural beauty and its historical heritage and culture. 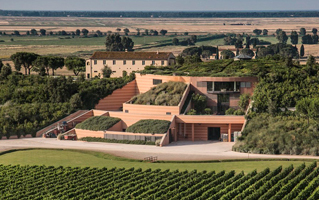 Since 1999, when the property was acquired, the owning family has dedicated their efforts to improving the vineyards and building the new winery with the firm belief that this area, slowly emerging on the Italian viticultural horizon, has great potential for the production of high quality wines. Varieties grown in this area can fully express their own characteristics as well as the exceptional qualities of the terroir. The property extends over an area of 270 hectares (667 acres) 170 of which (420 acres) are planted with vineyards. 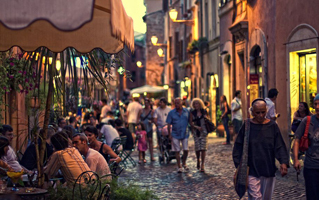 Trastevere is one of Rome's most colorful areas and is often referred to as a "real Roman neighborhood." Its name means "across the river" and refers to its location on the west bank of the Tiber, or Tevere in Italian. Trastevere was once an "insiders" neighborhood favored by working-class Romans and travelers who wanted to avoid the crowds and soak up real local atmosphere. Well, the word is out and Trastevere is no longer an undiscovered pocket of Rome. 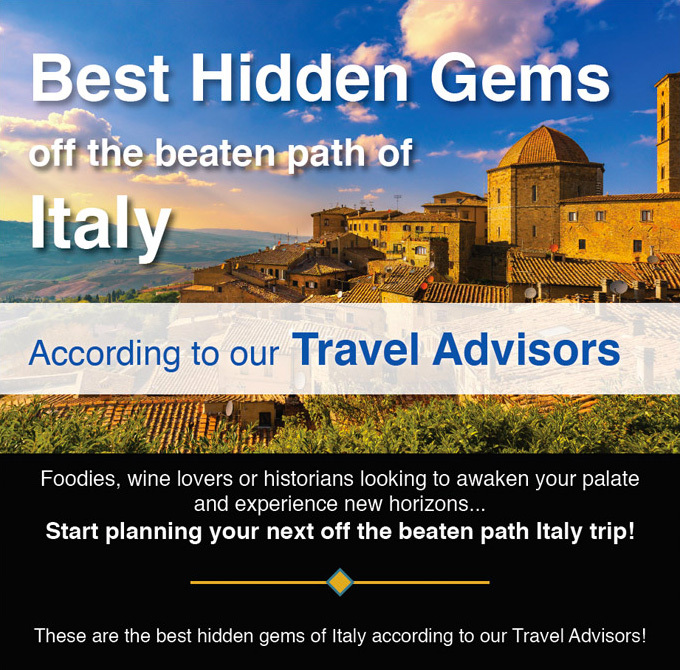 And although rents may have gone up, within its maze of narrow streets and centuries-old piazzas, you can still get a taste of authentic Rome, and make your own discoveries–in hidden churches, bijoux shops, small museums and lively bars and restaurants. The Church of Our Lady of the Conception of the Capuchins (Santa Maria della Concezione dei Cappuccini) deserves a visit when in Rome! Underneath this 17th Century church is an unusual catacomb featuring the skeletons of around 4,000 friars. 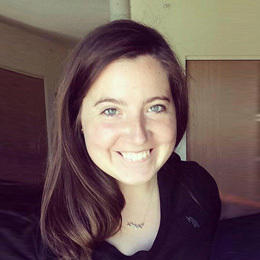 Their bones are arranged throughout six chapels/crypts in lamps, sculptures and mosaic-like displays of flowers, geometric shapes, an hourglass, and various religious symbols. 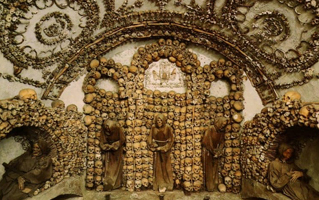 There is the Crypt of the Skulls, the Crypt of the Leg Bones, The Crypt of the Pelvises, etc. Some of the fully skeletal monks even seem strangely preserved and are still wearing their habits! Most impacting of all, however, is the plaque proclaiming, "What you are now, we once were; what we are now, you shall be." This place is mind-bogglingly gross and fascinating all at once.